While Memorial Day crowds flocked to the Florida Keys, the Cypress Cove Marina and Resort 550 miles away in Venice, La., was a virtual ghost town, hemmed in by oil sheens from the gushing Deepwater Horizon well. Venice is just 42 miles from the well, epicenter of the worst man-made environmental disaster in the nation&apos;s history. While most of the Gulf Coast had yet to face the specter of oil at its doorstep - 45 days after the Deepwater rig exploded and killed 11 - the oil was being driven by winds and currents, threatening coasts from Mississippi to Alabama and Florida, including the Keys. The spill was casting a pall on the summer for marinas, boatyards, dealerships, boaters, anglers and commercial fishermen hundreds of miles away. "It&apos;s a big economic issue that people need to worry about," says Richard Dodge, an oceanographer and dean of the Nova Southeastern Oceanographic Center in Dania Beach, Fla.
Scientists were deploying every trick in their bag - satellite imagery, research vessels, aircraft overflights, computer modeling, even a remotely controlled torpedo with sensors - to track the oil on the water and beneath it, and project where it might be headed and in what form. Roffs, a fisheries, oceanography and environmental sciences firm that is tracking the spill by satellite (www.roffs.com), projected that some of the oil would ride a Gulf highway known as the Loop Current south to the Florida Current and Gulf Stream, which sweep east through the Straits of Florida - typically 15 to 20 miles off the Keys and just two to three miles from the Palm Beaches - before charging up the Eastern Seaboard past the Outer Banks of North Carolina to Newfoundland. Roffs also was concerned that surface currents would carry oil east from Louisiana and deposit it on the white-sand beaches of Pensacola, Destin and Fort Walton Beach - Florida&apos;s so-called "Emerald Coast" - at the height of the summer tourist season, then sweep it southeast along the Florida shelf into waters off the Big Bend, Tampa-St. Petersburg, Sarasota, Fort Myers and Naples. Dodge says oil almost certainly will ride the Loop Current into the Straits of Florida. "How much, when and in what form we just don&apos;t know," he says. And therein lay the dilemma for emergency managers - and water-dependent businesses - trying to anticipate events. Dodge attended a meeting where Capt. James Fitton, commander of Coast Guard Sector Miami, was asked if he was ready were oil to arrive in South Florida. "He said, &apos;I&apos;m ready. I&apos;m just not sure what I&apos;m going to do. I don&apos;t have a defined threat yet,&apos; " Dodge reports. That has been the problem for communities all along the Gulf Coast. They don&apos;t know what to expect, when to expect it, or whether it will come at all. That uncertainty - and the misperception that oil already is washing ashore all along the Gulf - have disrupted many tourism-based economies. "We&apos;ve taken a significant hit," says Andy Newman, media relations director for the Florida Keys Tourism Council. "We&apos;ve had [hotel , dive boat and charter fishing boat] cancellations. It&apos;s a real big concern." And at a time when tourism economies across the Gulf were just digging out from two years of recession. "So far, we&apos;ve had probably 50 calls about the oil," says David Stanczyk, owner of Bud N&apos; Mary&apos;s Marina in Islamorada, home to 45 charter boats. He says bookings for June had dried up as clients adopted a wait-and-see attitude. Newman says the trend has been for prospective visitors to monitor the situation in the Gulf and make last-minute bookings if they see that the oil is still far away. Up and down Florida&apos;s Gulf Coast, tourism officials and marine business owners who rely on tourism expressed frustration over the cancellations while the spill&apos;s behavior still was very much in doubt. "There has just been a heavy, heavy, heavy focus [on the threat to the Keys] when, in fact, we haven&apos;t seen the first tar ball from the spill," Newman says. When tar balls turned up on the beach at Key West&apos;s Fort Zachary Taylor State Park in mid-May, news stories trumpeted that the spill had reached the Keys - an assumption proven false 36 hours later when a lab analysis showed the tar balls weren&apos;t from Deepwater. The Keys weren&apos;t the only destinations affected. Pre-Memorial Day surveys of Fort Lauderdale-area businesses revealed few hotel-room cancellations but lots of changes in plans to go out on the water, says Francine Mason, vice president of communications for the Greater Fort Lauderdale Convention and Visitors Bureau. "Fishing, boating, diving - they were the only ones getting cancellations," she says. "It was because of the uncertainty, the lack of clarity, about the status of the water. Right now the water is fine," she says. The State of Florida and local tourism boards mounted aggressive campaigns in May to make precisely that point. Oil company BP, which owns the rights to the Deepwater well, gave Florida $25 million for tourism advertising. Some of that went to beefing up the VisitFlorida.com Web site with 32 live webcams of beaches and waterfront - oil-free and inviting. Other money went to a national print and radio advertising campaign, generating "tweets" to give visitors a heads-up on where to go and what to see at different destinations, and inviting Sunshine State visitors to post their vacation photos on Florida&apos;s Facebook page, which transfers them to VisitFloridaLive.com. Social media have played a big role in turning the tide of "misinformation" about oil on Florida&apos;s beaches, says Newman. The oil spill page on the Keys&apos; official Web site (www.fla-keys.com), which shows National Oceanic and Atmospheric Administration spill maps and analyses updated daily, had registered 105,000 page views between May 3 and the end of the month. "People are hungry for information," Newman says. The Keys scored a public relations coup Memorial Day with a live "Good Morning America" broadcast from the beach at Key West&apos;s Waldorf Astoria Casa Marina Resort. The report featured weather anchor Sam Champion stretched out on a floating lounge chair with blue water and skies, kayaks and sailboats as backdrops. "These coasts are clear," Champion told morning television viewers. Destin also received a boost May 29 - two days before Memorial Day - as Kerry Sanders of the "Today Show" reported from the "sugar white" beaches of the Florida community that the "only oil you&apos;ll find on the beach is suntan oil." Despite these assurances, where the oil has washed ashore or drifted near the coast, the disruption has been catastrophic. As of June 2, NOAA had closed fishing in 88,522 square miles - 37 percent - of Gulf of Mexico federal waters, an area stretching from Morgan City, La., to Pensacola and southeast to the Dry Tortugas. 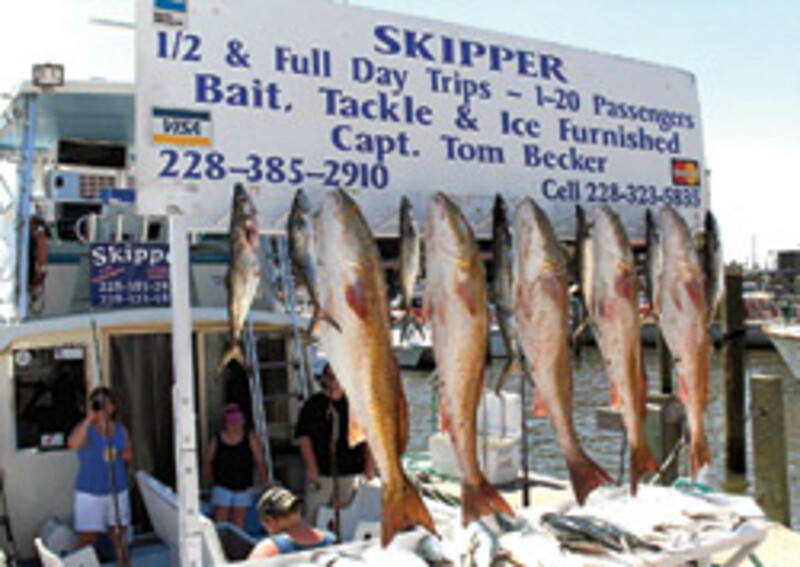 The long-awaited red snapper season opened June 1 for what should have been 22 days of glorious fishing, but Capt. Tom Becker, 69, who runs the custom sportfish The Skipper, says most of the 57 captains in the Mississippi Gulf Coast Charter Boat Association were sitting at the dock. Though inshore fishing for red drum and sea trout still was permitted, the red snapper season - the charter captains&apos; bread and butter - is a bust. The no-fishing zone includes "all our permitted reefs out there all the way to the other side of Mobile Bay," he says. "It&apos;s out of our range to go snapper fishing. We&apos;re feeling kind of hopeless, kind of scared. It&apos;s the beginning of the season, and we don&apos;t have any money. We&apos;ve got our boats ready, we&apos;ve paid for insurance, but we&apos;ve had more cancellations than charters." BP gave Becker - and other captains - a $5,000 check for lost business, but it reimbursed him for just one cancellation, a $4,800 multiday Gulf charter to catch tuna, wahoo and mahi mahi. "If you talk to the captains, if you told them, &apos;I&apos;ll buy you out,&apos; they&apos;d tell you, &apos;Let me get my personal stuff off. Here&apos;s the key.&apos; "
At Cypress Cove, a marina and fishing-boat dealer with branches in Slidell on Lake Pontchartrain and in Venice on the Gulf, sales manager Todd Knaak says the dealership had sold just two boats in April and May compared to $900,000 in boat sales April through June 2009. "My phones are not ringing," he says. No one&apos;s fishing because, along with the federal offshore closures, most of eastern Louisiana&apos;s inshore fishery is closed, as well. "If you&apos;re out in a boat, [wildlife officers] will stop you to see if you have any fish or shrimp aboard," says Knaak. On the up side, "We&apos;re putting motors on anything that floats to do cleanup stuff. We&apos;re also seeing an upswing in fishing on Lake Pontchartrain, but most of those guys already have boats." In the northern Gulf, surface oil ranging from a light sheen to a rusty brown sludge had washed up on beaches and into marshes and estuaries along 45 miles of Louisiana coast. 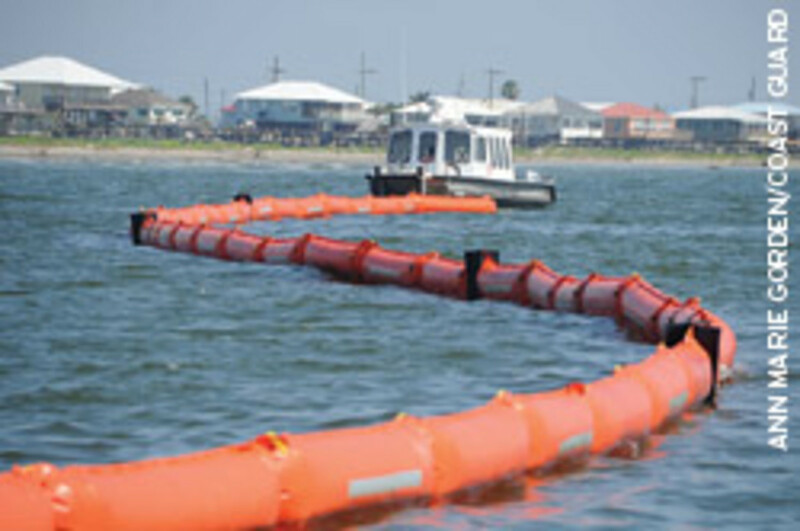 About 2 million feet of containment boom and 2.1 million feet of absorbent boom had been deployed to keep the oil at bay, and Louisiana was poised to armor its barrier islands with a 90-mile, $350 million wall of sand berms to try to stop the oil before it overruns more marshland. Traveling hundreds of miles south on Gulf currents, the oil was expected to evaporate and turn from a sheen into a thick pudding and then, as the pudding breaks up and weathers, into tar balls. The best-case scenario, as the oil travels the Loop Current, is most of it will be in the form of tar balls when it reaches the Keys, says oceanographer Dodge. Tar balls float in the water column, so they are not likely to damage the reefs. Depending on winds and currents, the tar balls could be deposited on Keys beaches - a nuisance but not a catastrophe - but Newman says there&apos;s a 50-50 chance that "they&apos;ll go right by us." Dodge, however, is very concerned about unconfirmed reports of vast underwater plumes - oil treated with dispersants and suspended as droplets in the water like a vinaigrette dressing. Riding over Keys reefs on the Florida Current or Gulf Stream, this submerged oil could coat and kill the reefs, which harbor a vast array of marine life and draw anglers and divers from around the world. "The real toxic effects will come from that dispersed oil," Dodge predicts. On top of all this, hurricane season started June 1. NOAA has predicted an "active to extremely active" Atlantic hurricane season with a 70 percent probability of 14 to 23 named storms (top winds 39 mph or higher), eight to 14 hurricanes (74 mph or greater), and three to seven major hurricanes (at least 111 mph). NOAA, in a fact sheet about hurricanes interacting with oil spills, says the surface oil is likely to have little effect on the storm&apos;s strength or the severity of its surge, but the hurricane could disperse and weather the oil, and speed up the work of bacteria feeding on it and degrading it. NOAA says storm surge could be expected to wash oil as far inland as the surge reaches, contaminating mountains of storm debris. "We don&apos;t even want to think about that," says charter captain Becker. "If we get that stuff up in our houses ... it&apos;s not going to be a pretty picture. And if [the surge] puts that oil back up in the marshes, we&apos;re not going to have any more marshes. They&apos;ll be dead" - and they&apos;ll be lost to the encroaching sea. "We&apos;re losing land already down here [in coastal Mississippi]," he says. BP says, as of May 26, it had paid out 26,000 claims totaling $36 million to individuals and businesses affected by the spill. In Florida alone, it had paid out 5,487 claims totaling $4.9 million, including 2,997 wage-loss claims for nearly $2 million, according to a daily situation report issued by the state&apos;s Emergency Operations Center. Among the claims for lost business income were 16 totaling $10,000 to marine repair businesses, 239 totaling $532,000 to charter boat operators, 601 totaling $647,000 to commercial fishermen, 126 claims for $226,000 to shrimpers, and four totaling $10,000 to recreational anglers. Not everyone is depending on BP&apos;s largesse to compensate them for losses. 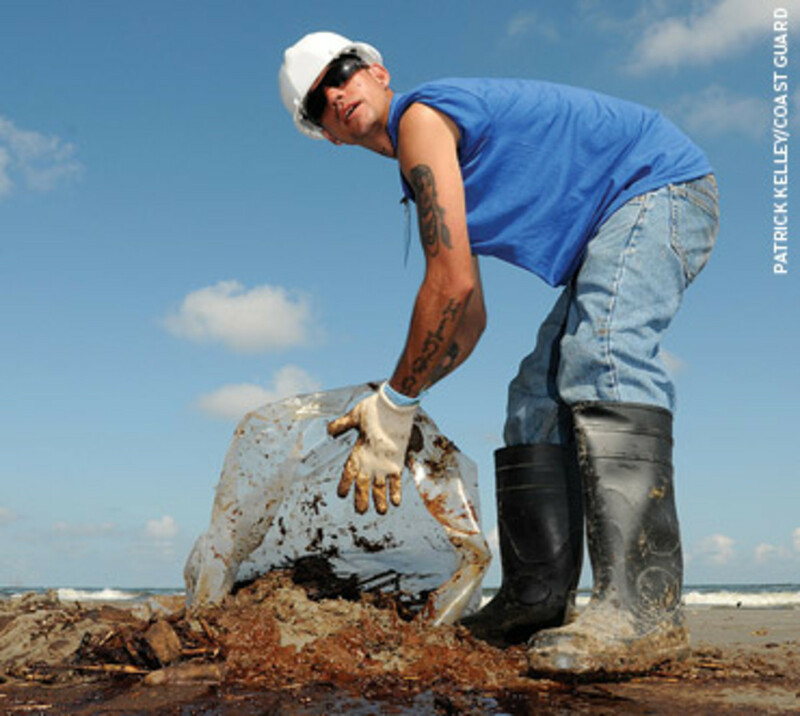 Fishermen, oystermen, crabbers, dive operators, charter skippers, hoteliers, restaurateurs and others from Texas to Florida have filed class-action suits against BP - 150 just in Louisiana - seeking restitution for spill damages. "Tourism is down," says Keys charter captain Michael David Burge Jr., who sued BP America Inc. and six other Deepwater-related companies in a class action filed May 25 in federal court in Miami. "My trips for the month are up by one. The number of people I took out on those trips is down by a third. There are just a lot fewer people who want to do anything on the water." Burge, 46, whose Key West Tiki Charters operates three boats - a 28-foot Spencer for snorkeling and dolphin-watching, a 27-foot World Cat for fishing and a 42-foot catamaran party boat - says the perception that Deepwater oil is in the Keys is driving off customers. "We&apos;re an island," he says. "Everyone here depends on people like me who make money from tourists. Home Depot doesn&apos;t make money, neither does the doctor, dentist or Winn Dixie, unless I make money. We&apos;re getting screwed." Burge is under no illusion that the suit - in line with hundreds like it - will give him and his business partner quick relief from the bind they&apos;re in right now. "I told him, &apos;Eighteen years from now I may call you and say, Hey, go and buy a new whatever. We just got the check&apos; " - from BP.